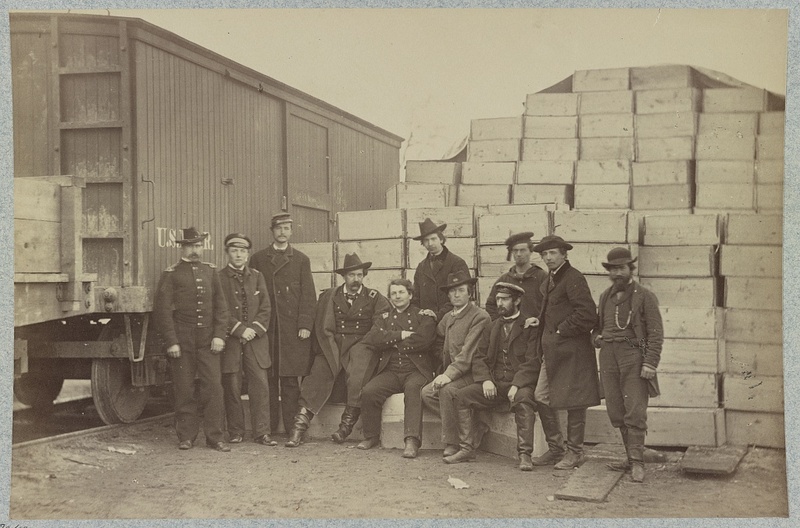 From Oct-Dec 1862: They were at Tennalytown, DC where they “engaged in picket and other duties.” Soldiers were discharged or died at Fort DeRussy, Washington D.C. and the Army Hospital, Washington D.C. 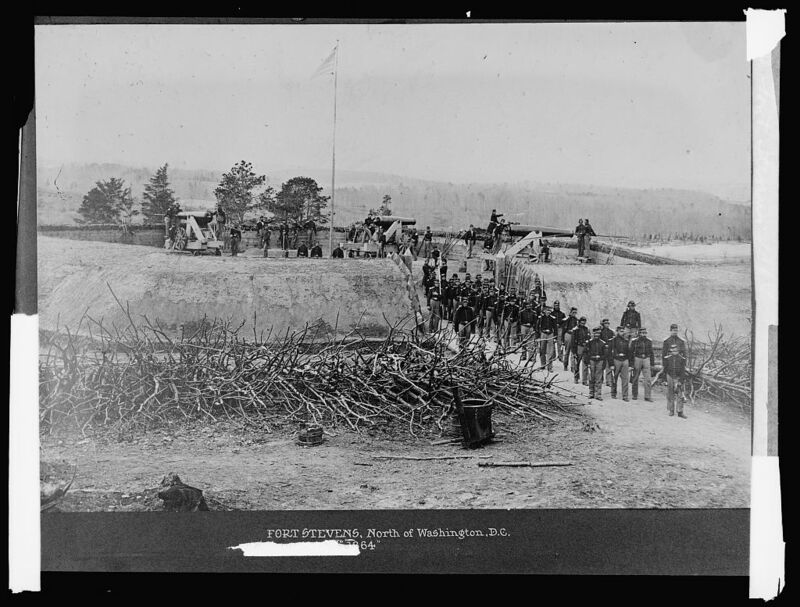 I found out that Washington D.C built 68 forts to surround the city protecting it from potential invasions from the Confederate Army in nearby Virginia! I couldn’t find photos of Fort DeRussy, but Fort Stevens was just a mile and half from Fort DeRussy so it probably had similar terrain and conditions. Notice how everything looks newly built around the Army Hospital below? 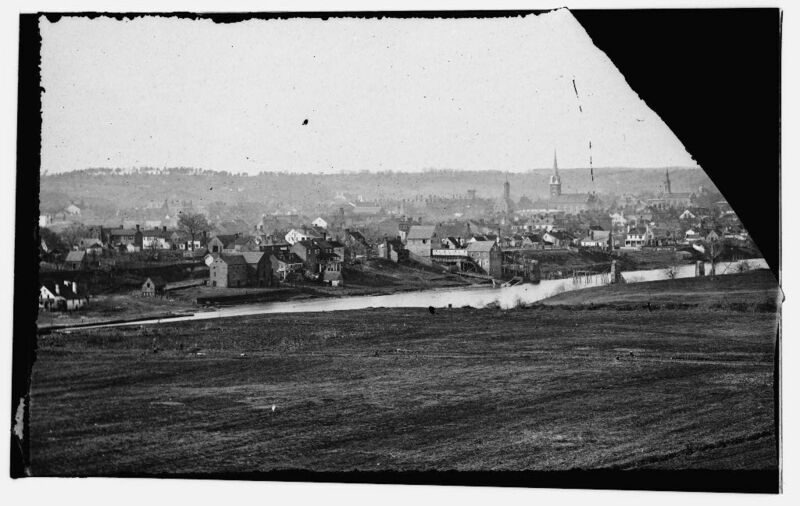 Washington D.C. went through tremendous growth during the Civil War. It is not surprising that so many men got sick from the lack of clean water and the infrastructure that supports healthy living conditions. From Dec 1862-Jan 1863, they traveled to Aquia Creek, VA and later to Belle Plains, VA to do guard and provost duty. 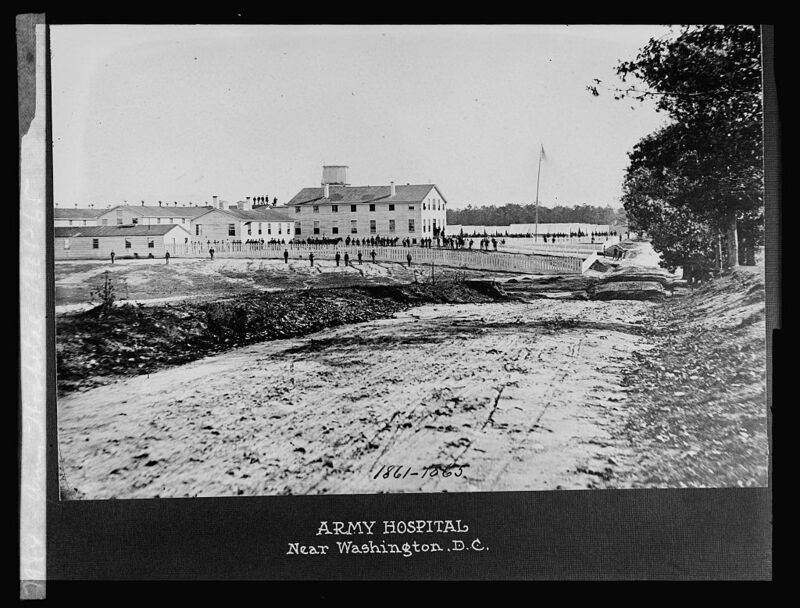 Soldiers were discharged and or died in Belle Plains, VA and 1st Division Hospital, Aquia Creek. 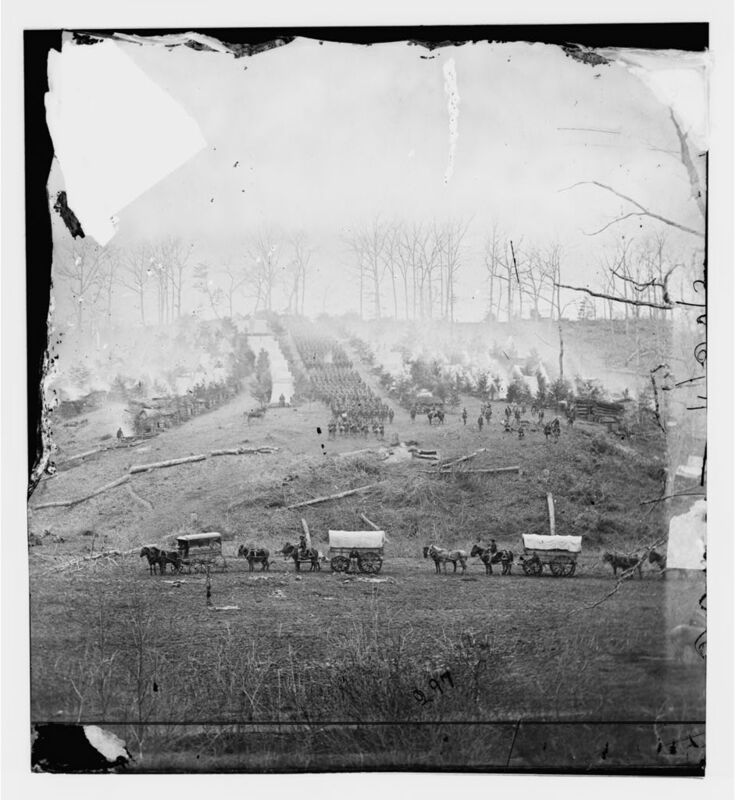 From January 20-23 1863 they were in the “Mud March” led by General Burnside that was supposed to be a surprise attack against General Lee. Unfortunately, there was a sudden rainstorm that ruined the attempt. There aren’t any photos from this military “blunder”, but this drawing gives an idea of what it might have been like. 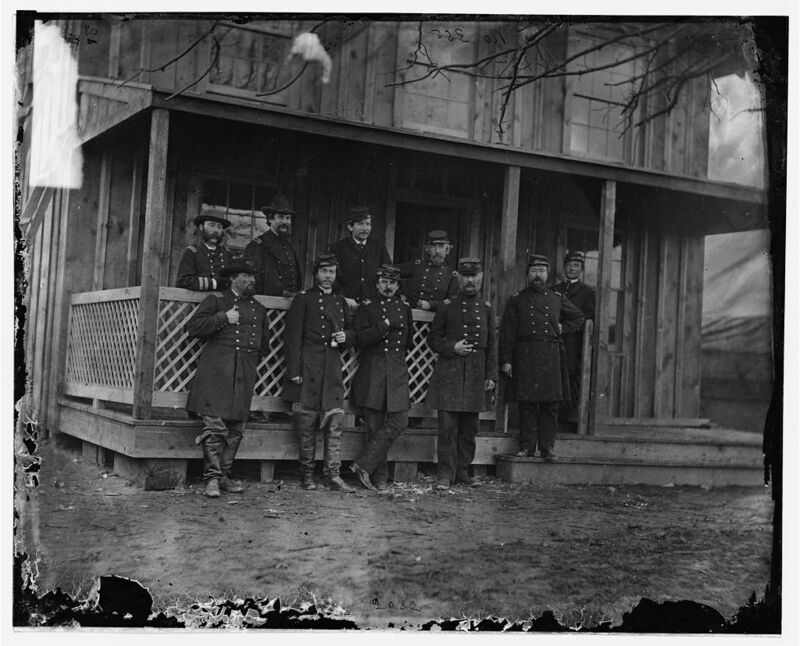 From April-June 1863 the 31st Regiment was at Fredericksburg, Chancellorsville and Falmouth. Soldiers died “near” the Fitzhugh House. I couldn’t find any photos on the Library of Congress website for the Fitzhugh House, so I searched using Google (isn’t that what we all do?). 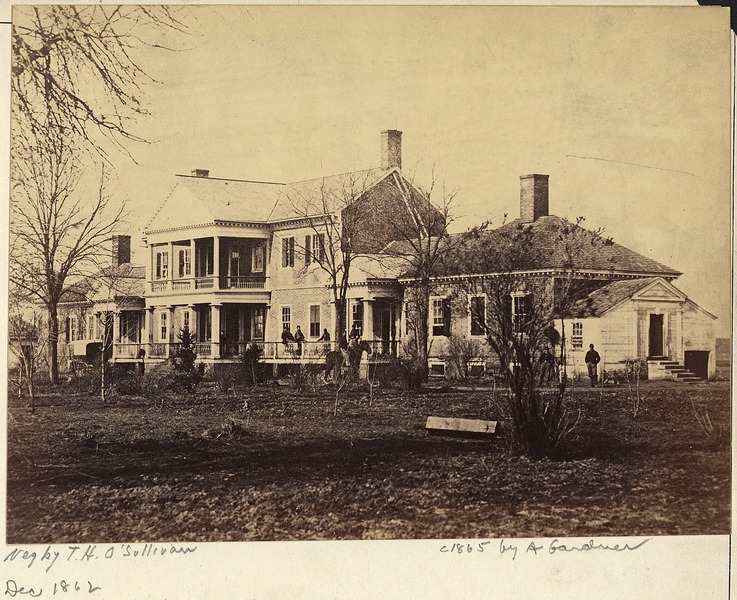 I found this photo on Wiki Commons and I think this is the Fitzhugh house that was mentioned in the Regimental history. It went by many names including Chatham Manor, but it was originally built by William Fitzhugh, a friend to George Washington and Thomas Jefferson. The house was used as Union headquarters and as a Union hospital where both Clara Barton and Walt Whitman volunteered. 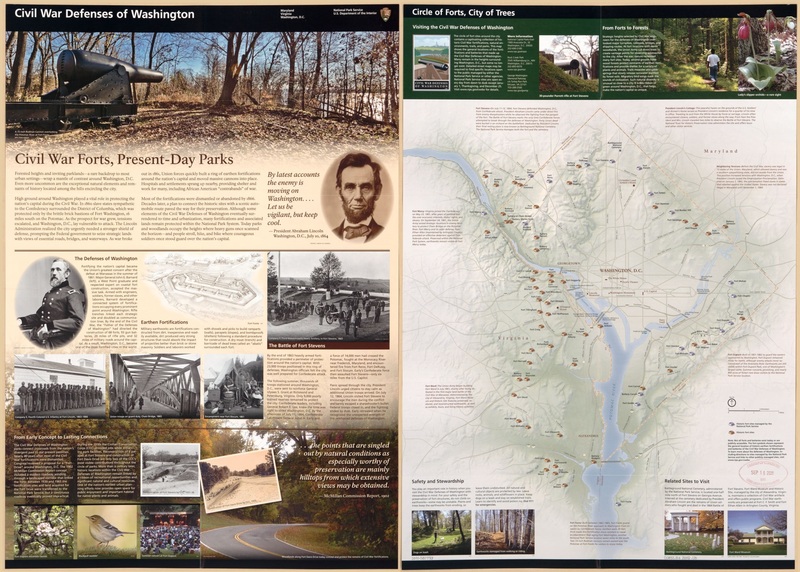 More about the history of the house can be found at the National Park Service website. I might be wrong about this being the Fitzhugh house mentioned in the history, but I don’t think so. I hope you are using the Library of Congress’s digital archives for photos, maps and documents to support your family history narrative. If not, go give it a try! Note – sometimes the search function on the LOC website doesn’t give me results for the keywords I am searching for. If I don’t get anything, I will use Google to see if anything pops for the LOC website and often it will. Google just has a better search engine…. 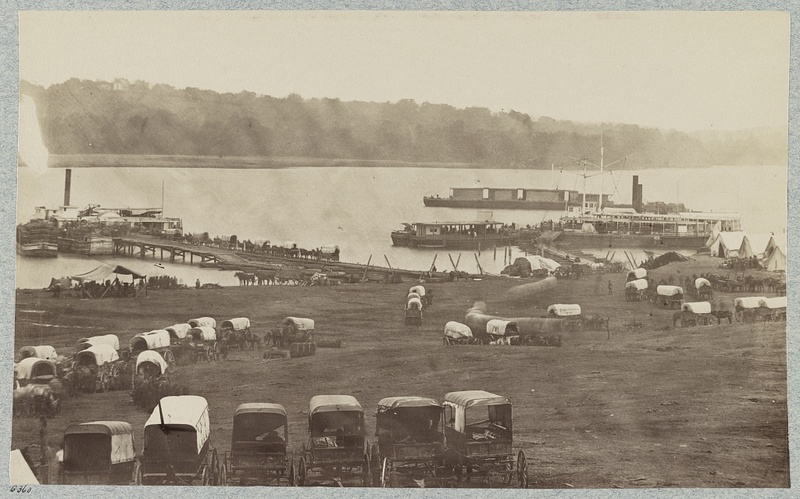 This entry was posted in Civil War, Genealogy General, McNair Family and tagged Civil War Army Hospitals, Civil War Forts Washington, Fort DeRussy, Fort Stevens, New Jersey 31st Regiment, Rev. John McNair. Bookmark the permalink. It’s amazing we can trace the route of an individual in the CW in photos. I had not thought of that. Congrats. Jill, you are so right…not all are without copyright restriction. I will add “usually” to the post with a warning to check! Always nice to hear from you and hope all is going well with your work towards certification! Photos do so much to bring the story to life! Love the post. Thanks Laura! The pictures definitely helped me to imagine McNair’s experience more vividly and appreciate the difficulties all the soldiers had.